As we get closer and closer to the release of new music from Louis Tomlinson, we’re getting more and more signs that LT1 is coming. After Louis’ merch leaked online twice (here and here), fans were eager to get their hands on it. 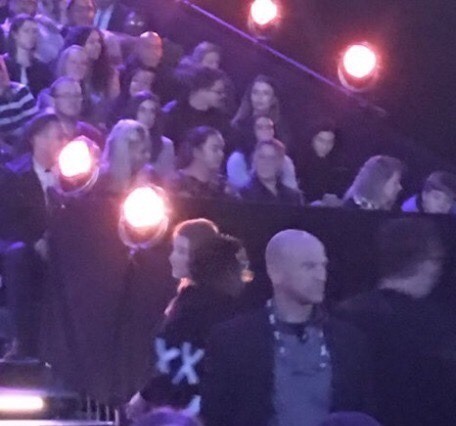 Tonight, one of Louis’ friends, Nizam, was spotted at X Factor wearing the merch - a hoodie with Louis’ trademarked X-eyed on it. Louis has repeatedly said his new single was coming “soon”. There was no announcement on X Factor today that Louis would be performing on the final so it’s either a surprise and they’ll announce it later this week or the new single will come out after X Factor has ended.